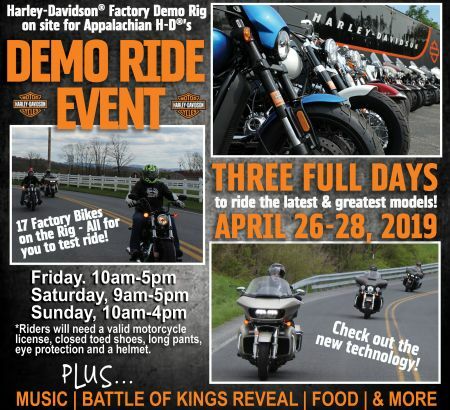 The Harley-Davidson® Factory Demo Rig is rollin' into town for a three day event, where you can ride all 17 of the latest & greatest Harley-Davidson® models! Try one or Try them ALL! *Riders will need a valid motorcycle license, closed toed shoes, long pants, eye protection and a helmet.